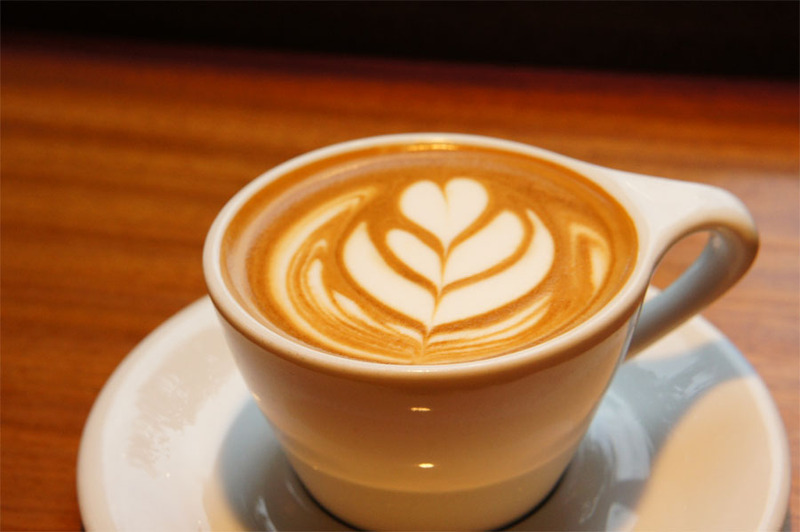 "We’re disrupting inequity, one relationship, one customer and one cup of coffee at a time." 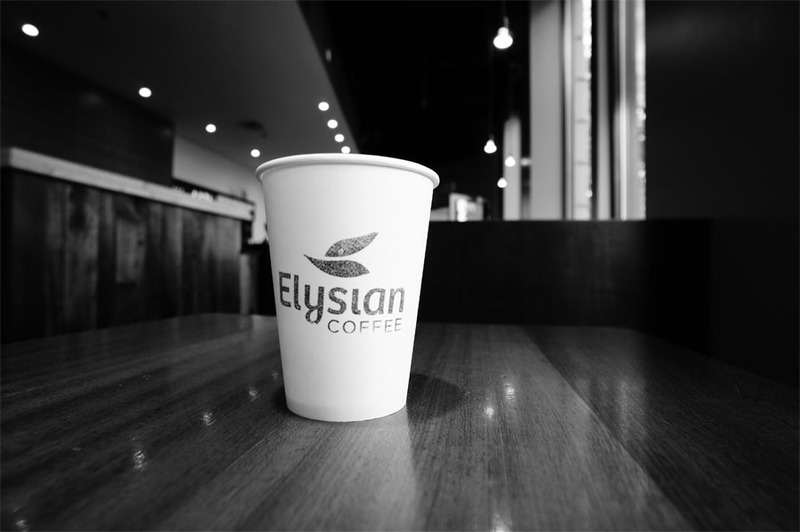 Located next to Fifth Avenue Cinemas and the swath of luxury car dealerships off of Burrard Street, The Elysian Room has been an outpost on the Vancouver coffee scene for more than a decade. The cafe sits on the south side of the building with a bank of tall windows looking onto the treelined 5th Avenue. 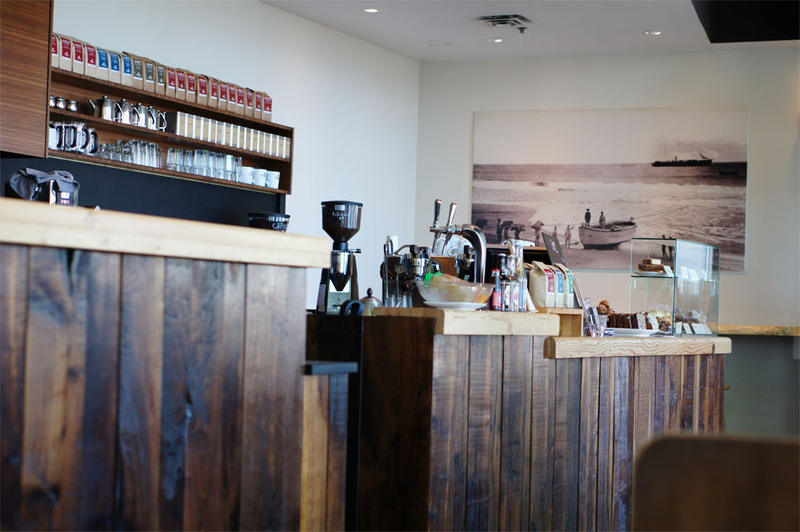 Recent renovations to the coffee bar has completely transformed the look of the cafe with a minimalist design lined throughout by natural woods. 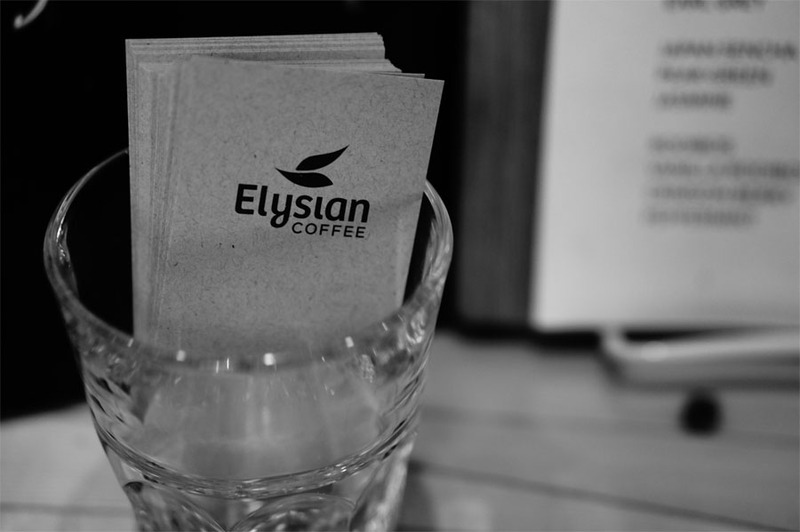 The Elysian Room uses their own roasted beans at the cafe with brewed coffee prepared on their Fetco brewers and espresso drinks made on a Synesso. They also serve complimentary still and sparkling water on tap at the cafe. They also have a selection of sandwiches for lunch and baked goods including muffins, scones and amaretti that get baked on-site. The rail line running behind the cafe near 6th Avenue is the old Vancouver & Lulu Island Railway Company line that connected to Steveston through Marpole. The line was later leased to the BC Electric Railway to provide streetcar service on the line. The railway is no longer in use and the section of track along 6th Avenue is a greenway that runs alongside a series of community gardens. 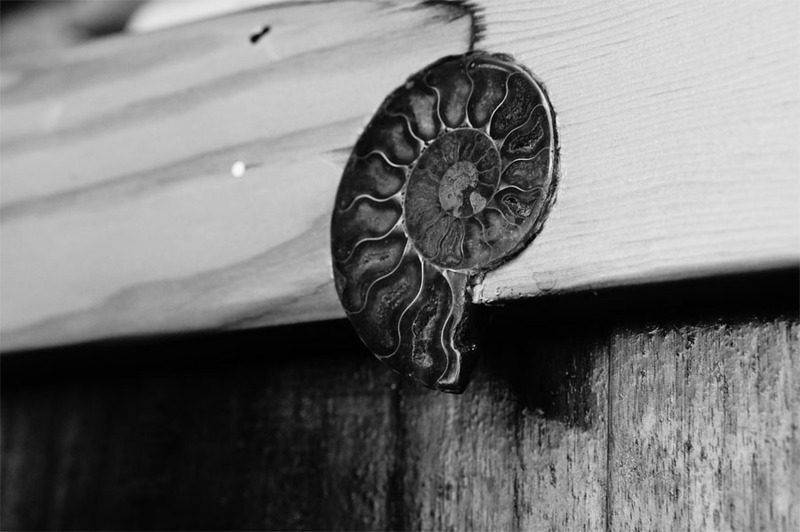 The black and white photograph above the bar in the corner of the cafe was taken by Eadweard Muybridge while he was travelling through Central America in 1875. The photo depicts coffee beans being loaded onto the Pacific Mail Steamship steamer "SS Honduras" in Champerico, Guatemala. Muybridge is also well known for his stop motion photography of horses and landscape scenes of the Yosemite Valley. He also took a few photographs in Canada at stops in Nanaimo and Esquimalt while travelling by ship to Alaska to take photographs for the United States government in 1868. Another local connection is with a small budget film on the life of Muybridge starring Michael Eklund that was filmed in Vancouver in July 2013. 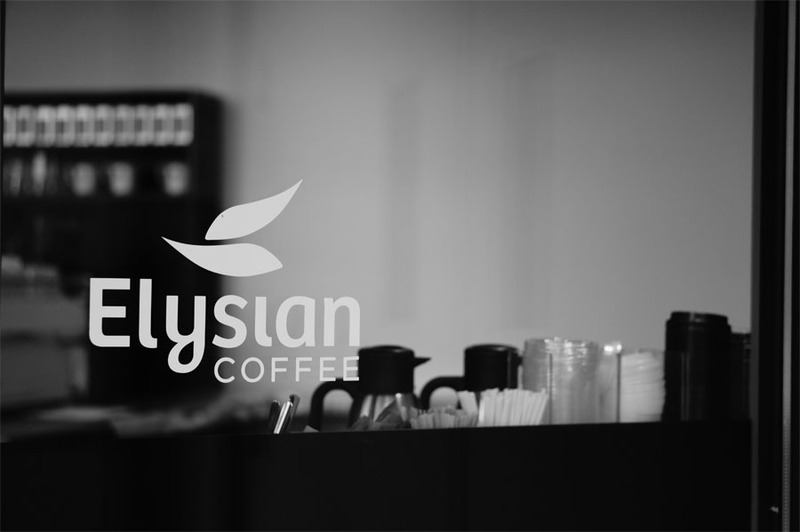 "Elysian is a reference to the café in the movie Sweet Smell of Success, and to the Elysian fields which were the final resting place of the blessed chosen by the gods in Greek mythology." 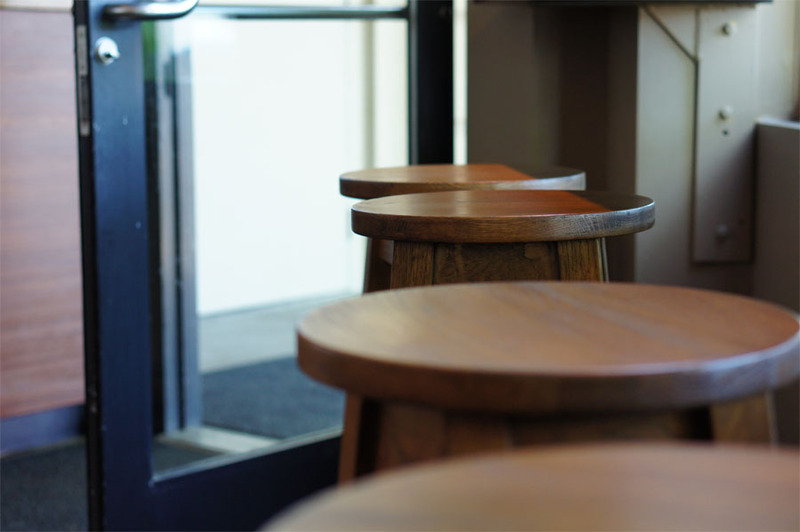 The cups used in the cafe are from Los Angeles based design firm notNeutral. 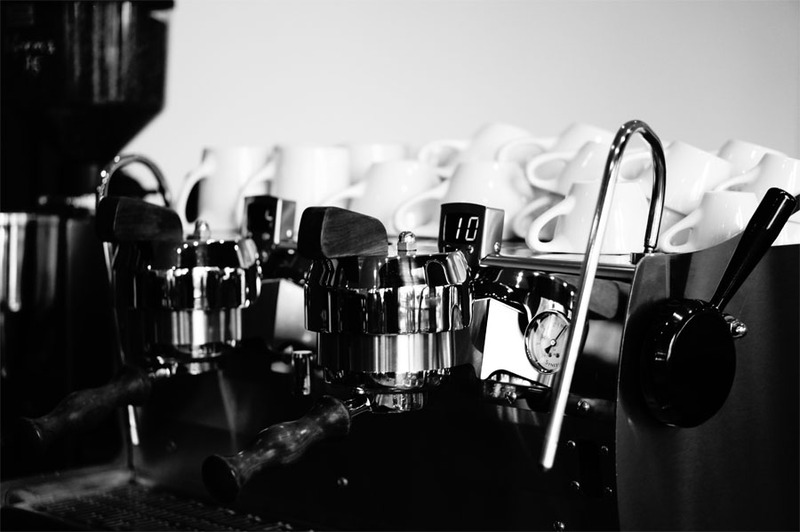 The Lino cups are the work of a multi-year collaboration with Chicago-based coffee roasters Intelligentsia Coffee. You can also find these ceramics being used locally at Café for Contemporary Art, Lear Faye Espresso Kitchen, Matchstick Coffee Roasters, Renfrew Cafe and Timbertrain Coffee Roasters. "These pierced handrails were designed as a kind of visual shutter, so that at a speed of 50 km/h motorists would see through them with an uninterrupted view of the harbour." The Parkview Towers with its unique Y-shaped design on the southwest corner of the Burrard Street Bridge was built in 1956 by land developer and lawyer Tom Campbell. He later became the mayor of Vancouver from 1967-1972 with a pro-development agenda which included the building of Pacific Centre, Two Bentall Centre and the Bayshore Inn (now the Westin Bayshore) during his tenure. 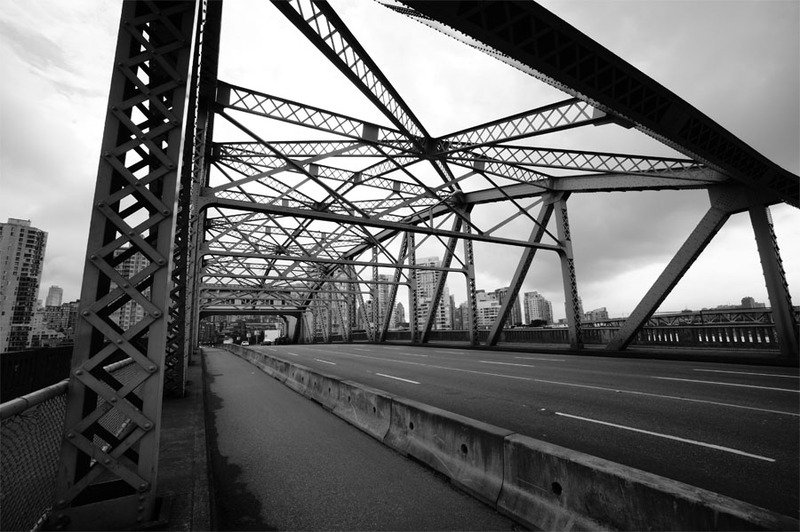 Some projects that didn't make it through while in office include a series of freeways through downtown Vancouver and a Four Seasons development at the entrance to Stanley Park in Coal Harbour. The Four Seasons project involved several residential apartments and a hotel, but due to public opposition the projected was abandoned and eventually was turned into the Devonian Harbour Park. "If you haven’t noticed yet, this isn’t your parents’ cuppa joe. Durie is one of a growing crowd of zealous coffee professionals who are exploring the cutting edge of everything the bean has to offer. They are roasters, graders and baristas who are driven to near-obsession to source and prepare the world’s best coffees."